Encouraging Creativity and Inspiring Imagination! 50 Crafts to Try Before You’re 10! Welcome back to the Kids and Kreativity linky party! This is a linky for all your blog posts that encourage creativity or inspire imagination in children. They can be about anything from baking with kids, messy play ideas, childrens’ crafts, book reviews, days out, travel…. you name it! Anything that gets the creative juices flowing, or sparks kids’ wonderful imaginations can be linked up. These last two weeks have been CRAZY! I can’t quite believe I’ve made it through! We have had Oliver’s party weekend, with various exams and Mother’s Day; Oliver’s 6th Birthday; end of term with all the shenanigans that comes with that; and we are now is DisneyLand Paris!!!! So apologies if this linky post is short. I wanted to still get it out there and keep up the momentum, but DisneyLand is amazing but also exhausting! More on that in weeks to come. We had a total of 7 posts linked up, which is good considering it’s the Easter holidays, hopefully we will get more this time. Just don’t forget if you link up at the beginning of the two weeks, come back in the second week to check out blog posts added later or you’ll miss all the great content that gets linked up towards the end. As a reminder, the minimum commenting is still one of the host posts and two other posts of your choosing per post you link up. That’s 3 comments minimum per post linked up. You can comment on more if you wish, and extra commenting and sharing is positively encouraged! I had two joint top commenters this time, so I will feature both of them. 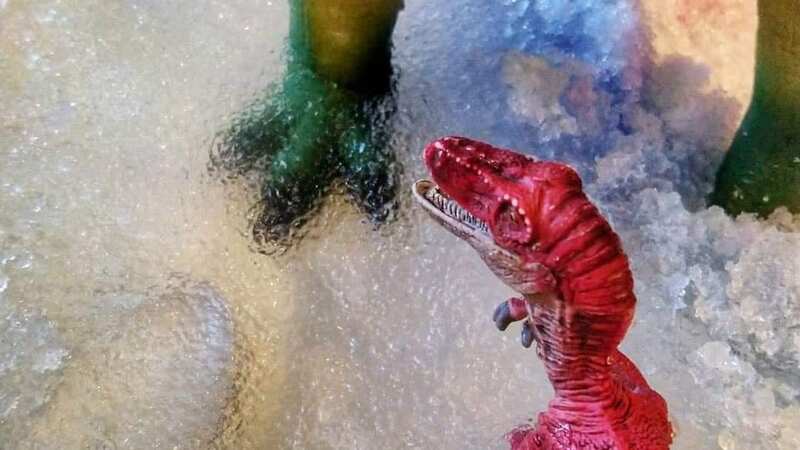 The first was Dirt, Diggers and Dinosaurs who shared their post Snow, Slime and a Stegosaurus. It’s a great review of some really interesting products so go check it out. The second post I am sharing is from Sensational Learning with Penguin, who shared their Magic Rainbow Sun Catcher Craft. 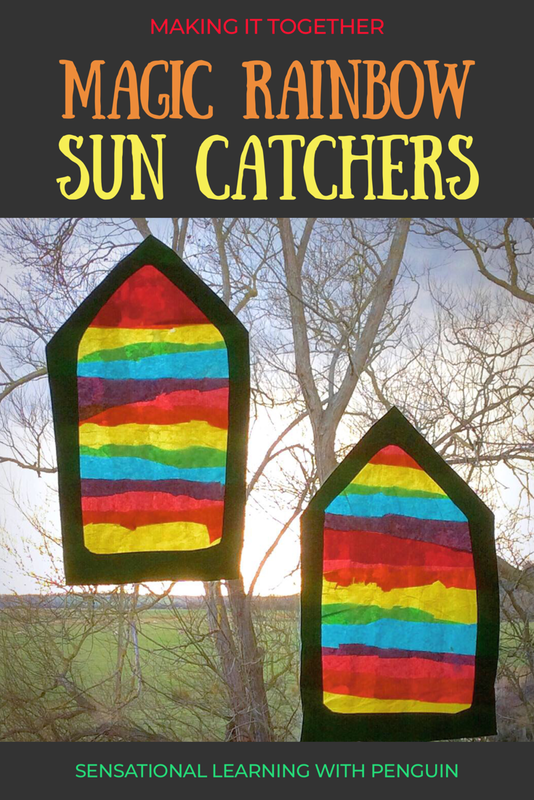 It’s a really simple way of making a very effective, colourful suncatcher, so pop over and take a look. This time I am sharing a couple of Easter recipes that are great to do with the kids. Firstly my Easter Cupcakes, and also my Bunny Cake Pops. The Facebook group is still very much a work in progress. I’ll keep it going and try to be more active in there, but it would be really lovely to see more of you over there and interacting. I would like it to be a great support network for like minded bloggers, and create a little community around this linky. I have also created a Kids and Kreativity twitter list for anyone that has joined in with the linky this year. It just makes it easier to see each others content to RT and share. If your not on the list and want to be then just let me know! I am also continuing to pin all the posts from the linky to my #KidsandKreativity board on Pinterest, and I often pin from that board to my other boards. Make sure your posts have lovely eye catching vertical pins in them to get maximum exposure. For all those linking up for the first time, have a read through the linky information and rules, but if you have any questions just message me. The linky will open every other Friday at 10.00 am, and stay open for 10 days. Please, please, please make sure you finish your commenting by 7pm on the second Thursday and make sure you add the #KidsandKreativity to your comments. This helps me keep track of the comments, and make sure everyone is doing the minimum amount of commenting. Please DO NOT link up and run, it’s not fair on others, and is not what this linky is about. This linky party is all about creating a nice community of like minded bloggers, and increasing exposure to blog posts that might inspire people. So feel free to comment away and share posts that you love. The more that you put into the linky, the more that you will get out. 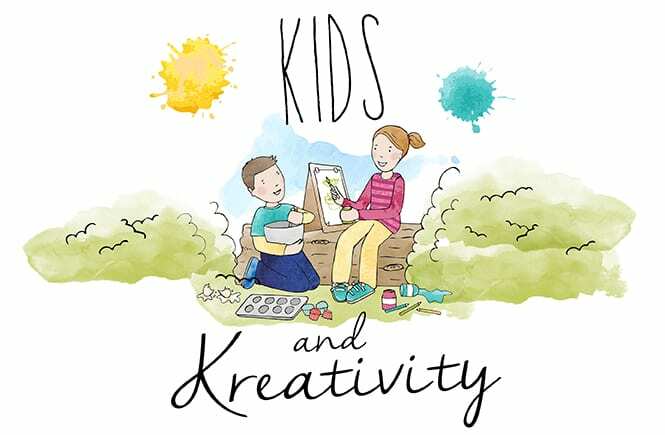 So come and be part of the #KidsandKreativity community and link up your creative and inspiring posts. Come and check out the Pinterest board and join the Facebook group and get involved. Make sure you grab the badge below, have a quick look at the rules, and get linking! Grab the linky badge, and add it to the post you want to link up (copy and paste the text in the box below the image, and paste into the html of your post) or your side bar. You can link up to two posts, old or new, provided they in some way encourage or inspire creativity and/or imagination in children. This can be an activity, book review, day out, craft, messy play idea. There’s really is a long list of possibilities. Comment on at least one of the host’s posts, and two other posts of your choosing PER post you link up. So for each post you link up you should be making a minimum of 3 comments. Please add the hashtag #KidsandKreativity to your comments, and please make sure all commenting is complete by the second Thursday. Please also make sure you approve comments on your posts by then also. By linking up you are giving me permission to contact you via email regarding commenting should that be necessary, and tweeting you reminders. Tweet me a link to your post when you’ve linked up and add my handle @blissfulkerry and #KidsandKreativity and I will RT. Dont forget to add the #KidsandKreativity to any comments, tweets or IG and FB posts. If you’re not already, follow me on Twitter, Facebook, Instagram, Pinterest and Youtube. Share the linky love! Comment, share, RT all that you love and enjoy! Thank you for linking up, I can’t wait to read all your posts! 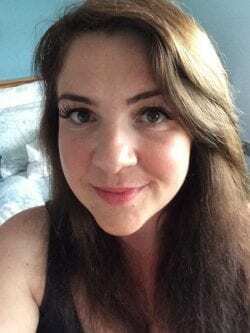 Hi I'm Kerry, Wife to James, Mum to two, Step Mum to one and contantly trying to achieve Blissful Domestication. I have a passion for crafts and encouraging creativity and inspiring imagination in children. So for ideas and inspiration to inject a little creativity into your family life, come and follow along the journey. 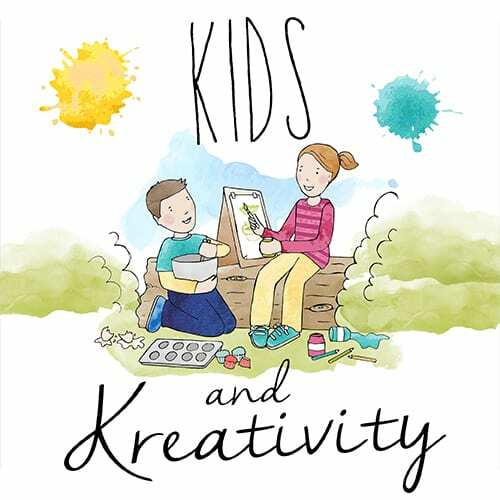 Do You Want To Inject a Little Creativity Into Your Family Life? Get the Checklist and Start the Challenge! Winter Slime Recipe and How to Host a Slime Station!